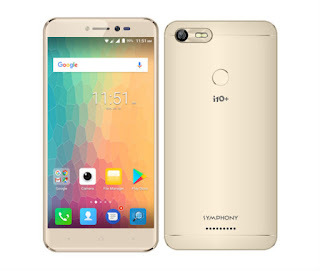 Symphony i10+ Great Smartphone in this limited budget. We all know that symphony is the best smartphone brand in the local market. Because symphony tries to give our best phone all the time in the limited budget. Here are some good aspects of symphony i10+ smartphone. The first thing to say about the camera because the phone is used in front and back 8 megapixel camera that is a good quality camera of around 7500 tk. The most recent operating system of the current time android 7.0 nougat can say a good feature on this phone. Although the battery is not strong enough, the 2500 mAh battery is not enough for this phone. Although the ram of smartphones in the present time is very strong but this phone will only get you one gb ram but it is enough in this price. Talking about the design, this phone is fairly look-good and premium looking. From now on you can have an extra feature, fingerprint sensor. By this you can increase the security of your phone. Because fingerprint sensors are very useful and very important for the smartphone fans at the present time. I say symphony i10 + is a fairly good quality phone in a limited budget. But in the case of smartphones, you must do the verification and see if any phone will be good for you in your particular budget and there is a good feature in the phone. If you do not understand, then take someone who knows about smartphones.